We want to make sure people know exactly what it is that we do and the best way to do that is to come in and try it for yourself.. That's why we offer 3 free drop-ins so you can experience what Pure PHIT is all about. We're confident that in 3 Classes you will see the value of the high quality coaching, individualized instruction that is provided in our friendly, inviting and non-intimidating setting. If not, thats ok! This is a NO STRINGS ATTACHED OFFER and at least we got to meet you! The "Try 3 for Free" offer is good for 10 days. If you're ready to commit after your first drop-in, you can exchange your other two free classes for a discount on Foundations! Click on the desired location and you will be directed to enroll. Upon completing your Foundations sessions, you will also enjoy unlimited access to group classes for the remainder of the month. $500 dollar value for $250! Bring a friend or partner for $100 more and Split The Cost! *This is not a stand-alone program. This is the start of your membership and will coincide with one of our membership options. Can’t make our scheduled sessions? 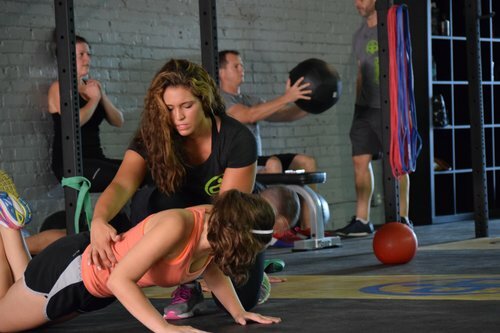 Once your first Foundations session is complete, we will instruct you on how to join in our group classes. All of our classes are instructor led and you will be in the company of like-minded people. We have clients ranging from 11 to 82 years old and from all walks of life. Along with your Foundations Program you have one month of Unlimited Group Classes. After your first month our coaches will talk with you about which membership options we offer and which one fits best for you! We offer several different membership options for you to choose from. If you have questions about them don't hesitate to contact us.